 The Global Network Initiative (GNI) seeks energetic and engaged interns for the academic semester and summer in its Washington, D.C., office. Internships are open to graduate and undergraduate students in all majors. Applications will be reviewed on a rolling basis. The GNI is a non-profit, multistakeholder initiative focused on protecting and advancing freedom of expression and privacy in the Information and Communications Technology (ICT) sector. The GNI strives to craft global standards for corporate responsibility in the technology sector. Our membership includes companies, civil society organizations (including human rights and press freedom groups), investors, and academics. • Time commitment: We ask that summer interns work full-time (40 hours / week) for at least 10 weeks. We ask that academic year interns commit to a minimum of 20 hours per week for a semester. Start and end dates are flexible. Internships are unpaid positions. The GNI encourages applicants to explore funding that may be available for not-for-profit and public interest internships through their individual schools. Please send an email explaining your interest in GNI and freedom of expression and privacy online, along with a resume and short writing sample, to info@globalnetworkinitiative.org (subject line: “Internship application”). Applications will be reviewed on a rolling basis and early applications are encouraged. Please indicate whether you are applying for an academic semester or summer internship. GNI is an equal opportunity employer, and does not discriminate on the basis of race, gender, ethnicity, sexual or gender orientation, religion, or physical ability.